Live streaming video has been around for a while, but now its moment of glory is finally arrived. When Youtube introduced it back in 2011, no one really payed attention. Then Meerkat and Periscope stepped in last year, catching the attention of the public, followed by the increasingly popularity of Snapchat. Facebook put the cherry on top launching its “Live” video streaming feature: now everyone is on air. The question is: How does this help me with sales? Live streaming can be funny to take a look into people’s lives, but can it really drive more revenues? Of course there is not only one answer, since the live streaming strategy should be customized according to your industry and your goals. Even the choice of the right platform depends on the type of activities you want to perform and your target market. 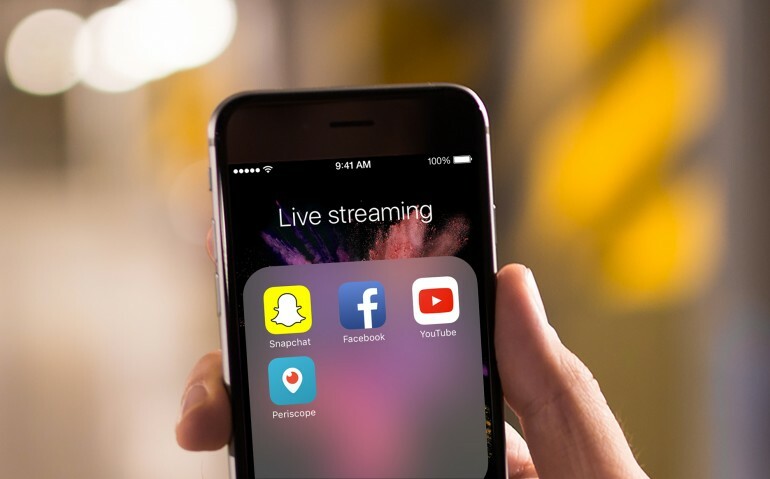 But there are different ideas that can help you leverage the power of live streaming, taking examples from the first brands that tried new bold roads. Instead of the traditional demo videos on Youtube or the time-consuming webinars, show people how your products and services work through live streaming series. For example, you can show real time the answers of the most frequent questions, or explain how to setup your service for customers on their first purchase. Beyond offering a better user experience, you will also improve your customer service and reduce their effort in answering to customers. Facebook and Youtube are the best platforms for this, since the videos can be viewed unlimited times once they had been recorded. 2. 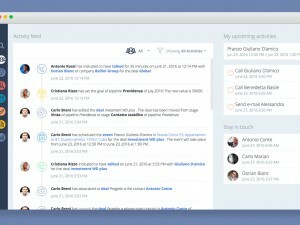 Offer customers a glimpse of your company. People don’t buy just your products: they buy your company, your values and the people who are behind all this. Creating long videos about your office life, your daily routine and your team could be complex and time consuming. On the contrary, live streaming does not require any post production work: you are live from the start! Plus, people don’t expect you to be perfect and appreciate your spontaneity in talking to them like you would with a friend. What to broadcast about? You can show people through your office, or you can even make them participate to your coffe break: whatever you think could show a glimpse of your company. For this purpose, Snapchat would be even better than Facebook: contents disappear after 24 hours, so you can feel free to live stream whatever you like whenever you like, to engage with your audience. If your target audience is less young and you have a broad fanbase on Twitter, choose Periscope instead: the content is timed as well and you can easily reach your existing audience. People could be shy, but live streaming lowers the barriers. Create a series of brief interviews with your staff, encouraging them to show their personality and the type of work they do for your company. This activity will be a benefit both from a customers’ point of view and from a team building and motivation one! People want to think you treated them better than your other customers. Offering them a content no one else can see it’s a way to show interest and to create a strong relationship, and the live stream effect has exactly this power. Since it’s live, people think they are the lucky ones to see the content! For example, offer them a teaser of your next product or feature, or even a discount code you show only in the video. Snapchat and Periscope are perfect for this: since the contents disappear, people are really paying attention about what happens on the screen! 5. Make people part of you successes. Have you won an important award? Have you closed an important partnership? Or more, has your national soccer team won an incredible match? Celebrate real time with your audience, through brief live videos showing what’s going on in your office. For instance, Adidas used Periscope to show live when the Real Madrid star James Rodriguez signed a contract extension with the brand: people felt like they were present at the event themselves. When you talk at a conference or take part in a trade show, only the present people who are physically present can hear you talking. Using real time streaming you can enable other people to participate, without waiting for a recorded video to be prepared later after the event. For this kind of initiatives Facebook would be perfect, but you need to invite your audience in advance. Some days before the event, start posting on your social channels and your e-mailing list that you will broadcast the event at that specific time, so that even if they would not be there physically, they would be sure not to miss the event. You interviewed your team mates, why not interviewing your happy customers? You can both interview them in person, or ask to do a live stream for you on Facebook or Youtube; then, you can include the video in a collection. Sometimes, happy customers do it spontaneously: last year, one of our best ambassador Rupert Marlow, actually shot a Periscope video explaining why he loves Sellf! This is one of the most popular usage for live streaming: bloggers, influencers and consultants offer free education lessons about their topics of expertise, to tease for their consultancy services or their more expensive courses. Well, it works: people like to receive free tips, since they feel like you are giving them something valuable. They remember about you and you become a thought leader in your mind. Maybe they close the video after viewing it and won’t buy from you for a while… but stay certain that when they finds out to have a problem you talked about, you will be the first one they will turn to! Well, now you have a bunch of hints and ideas to start leveraging the new platforms to sell more. Is there another way you tested real time streaming? Feel free to share it in the comments and… happy broadcasting!